LLT Vol7Num2: Blogs and Wikis: Environments for On-line Collaboration: "One of the technologies used by blogs to alert users to new postings, as well to help sort information coming from multiple blogs and other Internet sources, are RSS feeds. RSS stands for "really simple syndication"
"...RSS feeds can help keep track of changes to blogs used as project centers"
LLT Vol7Num2: Blogs and Wikis: Environments for On-line Collaboration: " If one thinks of blogs as being essentially on-line journals, it may not be evident how they could be used in collaborative ways. But actually looking at a few blogs (such as InstaPundit by Glenn Reynolds or Scripting News by Dave Winter) demonstrates how interactive they can be." "By publishing the blog on the Internet, the student has the possibility of writing for readers beyond classmates, not usually possible in discussion forums. Readers in turn can comment on what they're read, although blogs can be placed in secured environments as well. Self-publishing encourages ownership and responsibility on the part of students, who may be more thoughtful (in content and structure) if they know they are writing for a real audience. This same degree of personal responsibility is lacking in discussion forums." "...student's weblogs counted for 40% of their final grade..."
"...I'm planning to set aside time for blogging in each class and giving the students very specific tasks in their blogging time, because I want them to have enough experience with this way of writing and working that they can find out whether it's helpful to them." For the second type, she says : "...you need to devise specific blogging tasks and actually spend class time blogging." ...and for the third type: "There definitely are people who don't get much out of blogging. But then, there are people who hate written exams or oral presentations, there are people who learn best from discussions with friends and others who learn best from reading or doing. Exposing students to more different ways of learning and thinking and expressing oneself can only be a good thing. There should be a point at which they can opt out of the ones that don't work for them, though." EdBlogger Praxis: "Examples of Educator, Pre-Service, EFL, Classroom,Collaborative, Project , etc., weblogs that are online." My comments: Eigodaigaku is a Japanese-based weblog for english language learners which contains something called a 'Site Pal', which seems to be a web-bot that learners can 'talk' to (very impressive). The site is not just a weblog - it has quizzes, and other language learning exercises. 24 undergraduate Tourism students. Age 18-24. Level: Upper-intermediate. . Based in Barcelona, Spain. My idea would be to use the weblog with another class in another country and to compare culture / tourism / etc. I don't have any more specific ideas just yet, so I would be very happy to start discussing it with anyone who might be interested in collaborating. "...the site has been developed as a study into how ICT could be integrated in the curriculum. You see, as of late (at last!) the Greek Ministry for Education has refurbished the school curricula for primary and secondary education. As I was looking for a topic for my M.Ed. dissertation with the Hellenic Open University I have been developing this site. I tried to implement it in some way, but there were too many constraints from parents' suspicion, children's lack of time due to their hectic lives with extra-curricular activities, outside school like dancing, sports, martial arts and the rest, to timetabling and curriculum constraints; you see not all teachers are ready to integrate technology in their classes and in my case I work with... (someone) who is technophobic, or rather unable or worse indifferent to comprehend technology, so the whole project fell through." "I tried to publish some texts written by the students myself, but there was not any very positive reaction by the kids. You see, they are rushed off their feet all day, so some additional or divergent activity is perceived as additional burden; and I suppose they are right the way things are nowadays. I'm afraid I don't have an substantial experience of blogs, or any action research material to offer. It's sad really, but that's how things are right now. I am hoping to take the position of school adviser, you know some kind of school inspector, for the area of EFL advisor in the schools of the Ionian Islands. If that happens I'll try to convince the teachers of English to introduce ICT in their classes and do some action research as well. In that case there will be a site with all the material gleaned from the whole project. I'll keep my fingers crossed." My Comments: Damianos has experienced problems that are all too common in ELT. Fortunately, as people become more accustomed to using computers as part of their daily life, I'm sure that there will be greater acceptance of this kind of ambitios project. It's interesting to see how teachers in the USA seem to have far less problems encouraging their students to use weblogs. etc as part of the curriculum (see some of the example sites listed below) - I guess that is because computers and the Internet have been more a part of their life for longer, and are probably in more schools than in other parts of the world. In some ways, it gives hope for the future to those of us who are interested in integrating ICT into our curriculum. WebQuest Portal - a weblog about webquests. "News and views about the WebQuest model, a constructivist lesson format used widely around the world." My comments: "WebQuest lore, rants, travels and online discoveries" by Bernie Dodgefrom the creator of webquests. This is a student weblog started by a student of the weblog The New Tanuki. XEFL.com EFL News - English as a Foreign Language: "Extending English as a Foreign Language "
A collaborative weblog for teachers. Jim Duber on CALL: "This is an interactive journal where I post my bits and pieces and invite readers to discuss issues and trends in the field of Computer Assisted Language Learning (CALL). " scwriting :: "This weblog was created for the students in my writing class at Shih Chien University in Taiwan." "In the hands of creative teachers, Web logs can enable students to connect their classroom experience to the 'real world.' This has had an extremely positive effect on the students, who quickly realize that they are writing for or having a dialogue with a community larger than the teacher or the class." "This webring is a community of teachers, technologists, librarians, and others who are interested in integrating weblogs into their classroom. We also welcome bloggers who are using weblogs in the classroom." My Comments: I've just joined this webring - you can find the link at the bottom on the left-hand-side. "The concept is simple enough. Create a Web page. Update it regularly with brief personal reflections or witty commentary, sprinkled with links to other pages. Put new entries at the top of the page, pushing older ones down. Voilà, you've got yourself a Web log. - David F. Gallagher"
My Comments: This weblog was started as an aid to composition, and reflects 10% of the students' final marks. The first page contains instructional information for students with two links : one to the actual weblog and the other to Blogger, where students have to sign in if they want to add anything to the blog. "Although weblogs take many forms, as will be demonstrated in class, ours will follow the example of many of its contemporaries by serving as a filter for the massive amount of information available on the topics we'll be studying. This filter functions as each student-author posts links to high-quality, relevant, web-based information; adds explanation or commentary to these links; and makes general observations about our topics." "Each student-author should post a minimum of one and a maximum of three entries to the blog each week. Of those, a minimum of one and a maximum of two should include links to webpages you've discovered that you believe will be useful and important to your classmates. Any additional entries may contain simply personal observations and ideas. " The tutor has also added links to the weblogs that students are expected to monitor over the term that the weblog runs. The more I investigate, the more I find examples of how weblogs have been used successfully with students in all manner of educational contexts. My comments: This is an example of how a weblog has been started around the study of a piece of literature. Questions for the author were formulated, and some of them were answered. There are chapter summaries, and drawings inspired by the book, etc. Again, although not EFL, a similar project could be undertaken by students about a class reader, or any other type of class project. The Georgia-NJ Connection :: "We up here in New Jersey are really looking forward to working with you over the next few weeks and we're hoping that we all learn a little more about journalism and Web logs. " My comments: Here is a good example of an educational weblog for young learners. 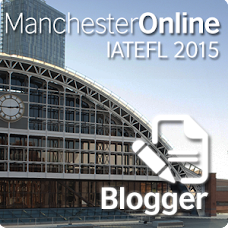 It's not EFL, but it shows a good way of using a collaborative (class) weblog with students. Weblogg-ed Vol.2: Using Weblogs in Education: "How have Web logs been used in the classroom? Classroom uses of Web logs are many. They can be used as online student portfolios or filing cabinets where assignments and projects are stored. They can be class portals where teachers keep homework assingments, links, handouts, syllabi, etc. Teachers have also used Web logs as collaborative writing spaces where students read and give feedback to one another. Web logs have served as reader's guides for literature study, as newspapers, and as project sites where students create and contribute all content. See the list of sample Web logs "
This is Maria Jordano's weblog started in May 2003. Here's what MAria has to say about it: "Week after week, experiences, questions and feelings go around my head as typical symptom of a new EFL teacher. All of you, experienced and not so experiences are invited to reply, write or give a piece of advice..."
My comments: Unfortunately, there seems to have been a lack of enthusiasm in this weblog also. Perhaps the students were just too busy, or (because there does seem to be an impressive array of communicative options for them to use on the website), they preferred to express themselves through chat or e-mail. The Virtual English Classroom Weblog Form A: Damianos' message to his students re. weblog use: "Use this web log in good faith, without prejudices and with friendship and tolerance in mind." My Comments: The time between first and last postings seems to have been short, all in March 2003. I suppose this means that the students didn't take to weblogging. I have e-mailed Damianos, asking for his comments, so maybe we shall find out. JUNIOR HIGH SCHOOL CORFU GREECE: "The web logs are web pages where the students of our school are able to publish their thoughts, ideas, points of view and anything they wish to share with other people who may visit the web log. They can also publish projects they want to share with other students or display any work they wish. " Mathemagenic: learning and KM insights - a klog not a blog: "I have used Blogger for a while, but the blog is almost dead now. One of the things preventing me from putting more time in it is that a Blogger blog (the free version) is hard to organize and searchable. It is a long list of postings. I would like something with more navigation options (like channels or categories)." My comments: I can see his point of view. As this blog grows, I have been thinking it would be nice to offer this option, but it is impossible with Blogger. The only thing you can do, I suppose, is create links to the most important entries by pointing to the archive pages where these pages are. It sounds like a lot of hard work, but worth it if you are creating a blog which is more than an ephemeral journal. EFL in Japan Blog :: "The politics, economics, education and environment of EFL in Japan." My comments: A good example of a welog kept as a personal reflection on teaching, culture, and more by an EFL teacher. Interactive Language Learning on the Web: "Reading and Writing Skills With Discussion Boards and Weblogs"
A day in the life of an online language educator: "You can imagine that one of the greatest challenges for an English teacher in the vast interior of China is arranging for students to have communicative language practice and exposure to authentic target language through interaction with native speakers of English. In previous years this would have been out of the question "
ESL/EFL sites and blogginglist-serve for those interested in online education worldwide: ESL/EFL sites and blogging: "ESL/EFL sites and blogging"
How technology and amateurs are changing the way we communicate"
The Subtle Knife: Blog*Diss: Blogs in the Classroom: "Here are some strategies you might consider for using blogs in your classroom. Students don't tend to write unless they have to. Blogs are one way to change that. Asking students to keep a blog gets them in the habit of writing regularly; what's more, it gets them in the habit of writing regularly in the kind of electronic environments they'll be asked to work in outside the academy. From experience, I can say the only way to develop the habit of blogging is to conscientiously blog for a few weeks. After that, the blog becomes a familiar resource, one which students may turn to even when the class is over, creating a regular habit of communicating through writing." Barbara Dieu has a class weblog running with her students : It is a new space for the students to 'post messages and exchange ideas'. She also has links to the individual student weblogs, which were started earlier and which some of the students (see lou2712 and franbati) have certainly taken to with enthusiasm. - to experiment how it works in class, what the problems are and how the students manage it in an academic context with rubrics. Most of these students at this level have had an average of 4 1/2 years of EFL at school (3 hours a week), some a bit more and some a bit less. We stopped writing end of June as here in Brazil we have a month holiday in July but we intend to go back to it this month. post) and 10% did not do much or nothing at all). My comments: Barbara's experience is another example of a successful weblog project. Although the response from some students was less than enthusiastic, this is to be expected, for the reasons that she mentions, and a variety of motivation and response is something that we see all the time in the classroom. I like Barbara's evaluation criteria , which is useful (if not essential) if the weblogs are to be evaluated as part of a class mark. A. GENERAL: Barbara's class blog uses blogger software and she has presumably added her students as contributors and also added links to their personal pages on the side-bar. It looks like the reaction to the blog has been positive. I think Barbara has the idea to use this weblog as an extra-curricular stimulus, a space where she can direct students to interesting sites in English, and although it has not been running for long, you can see that the students in general have taken to it well. B. APPEARANCE: 'Bee's Online' is a colourful, simple format with the emphasis on what the students' write. There are few links apart from those to the students pages, and to the English Department. I think it is a format which reflects the purpose of the blog well, without distractions. The individual student pages show a variety of personal styles - it is obvious that these students have had a lot of fun playing with the design of their blogs, which is important: if the students are approaching the weblog project as a fun activity, then they will be far more inclined to write. C. TITLE BAR AND DESCRIPTION: The title is 'Bee's Online' and the description : A Meeting Place for Students to Share Opinions and Discuss is straightforward and engaging. D. CONTENT: 1. Barbara started to engage the students into discussion by adding some links to sites about the latest Matrix Reloaded film. A weblog offers a good opportunity to engage students' interests, and follow up with class discussion, which I think was Barbara's idea. It seems to have worked in this instance, as lots of the students posted replies. 2. Some students have also used this blog to tell everyone that they have made changes in their own personal blogs. In this way, the class blog acts like an electronic noticeboard for the classroom community. 3. It was interesting to read this student's entry : "hello teacher, what's up??? I am sorry, but I havenÂ´t understood the objective of this blogger!!??... So could you please explain it tomorrow ?? " - It shows the willingness of the student to communicate his misunderstanding in the weblog itself, asking for help, and probably also displays a desire on behalf of the student to take part, but not knowing how to start. Barbara follows up the student's question with a succinct reply, detailing the objectives behind the weblog, and encouraging him with a question related to the current subject. There are two main types or styles of weblogs that are generally called a filter style and a journal style. The filter style of weblog is where the author filters through the vast mass of information available online and selects and makes available on their site what they consider to be the most useful, interesting or important for their audience. The journal style of weblog is more of a free form and open structure containing the author's views, opinions and thoughts." A weblog (or blog) is a web based space for writing. Weblogs can be thought of as an online journal where all the writing and editing of the information is managed though a web browser. At its simplest, a weblog is a personal web site operated by an individual who compiles lists of links to personally interesting material interspersed with information and editorial. The user can instantly place their words and thoughts onto their own web log site through one of the many pieces of blogging sotwre available." "All communities, on or off the web, adhere to basic principles in order to thrive. Mongoose Technology has codified these tenets into the 12 Principles of Collaboration..."
My comments: Thanks to Barbara Dieu [bwjdieu@terra.com.br] for guiding me to this one. Barbara Dieu (Brazil) has some nice links to articles, etc about weblogs in EFL - you can see Barbara's own class weblog Bee Online by following the link at the left hand side. Teach them to fisk ? Teach them to fisk ? "Recently Jill Walker lamented that it was hard to teach her students to blog critically. Perhaps we should first teach them to fisk." Bear with me if the links go missing for a while - I am changing the weblog template. My comments: It seems as if weblogging could be a good way of promoting learner-centred teaching, if student posts are then used as a basis of discussion in class. I am thinking of using blogging with my undergraduate university students of Tourism next academic year, and this seems like a good way of linking weblogs to class activity. It took me a long time to realise this, because I took to blogging instantly myself - so did a few of my students but the vast majority need to be helped into the habit. I also got students to comment on each others posts, and link to each others blogs in class, and this became a habit too - which I now see has been really helpful for them in the last phase of their work. Although they were working independently on their projects, they actually gave each other a lot of feedback through their blogs, which is wonderful!" "I give one blog "assignment" every week, due on Mondays. I try to vary the types of blogging assignments I give. I guess I have three types 1) Sometimes, they are very structured, dealing with the readings, discussions, etc. that we have had in class that pertain to the particular subject/project we are on. 2) They have a general topic or choice of "prompts" to respond to, again dealing with relevant class topics, and 3) free writes, which have "failed" in my assessment. Perhaps this is why free writes fail? My online classes tend to attract many ESOL students, and I find they are nervous about choosing their own topics. That's why even when the blogging assignment is more unstructured, I give some topics they can use if they like. Some of the students blog on their own -- journaling, complaining about other classes, venting about writing, etc. I have even had three that started a little poetry club so they can comment on each other's work. Some never blog outside of assignments. I do assess their blogs -- I make their blogging a very small percentage of their final grade and I am very generous in grading the blogs. I don't count spelling or grammar -- just well developed thought. I think the students know that the blogs aren't "worth much" of their final grades, and thus, they are more likely to write without fear." ITC Insights : Weblogs for Use in ESL Classes: "Weblogs for Use in ESL Classes"
This was last updated in March, and most of the links lead to dead-ends : an example of a short-lived experiment, and a reminder that a weblog is only valid if it is posted to frequently, consistently. Kevin Brooks, North Dakota State University: "The purpose of this study is to evaluate the effectiveness of weblogging as a writing and learning activity"
"Weblogs are emerging as a potential tool for helping students reflect on course material in a public way that encourages feedback, and they seem to have the potential to motivate student writing and learning." "...contemporary information technologies, despite considerable potential, do not always fit easily into students' notion of writing and learning." Found at Everything : "...the term "weblog" has come to mean a lot of things. The thing that first comes to my mind is the increasingly popular style of personal web site where the author leaves ...journal entries every so often"
"Weblogs have always struck me as being an especially interesting phenomenon to observe. The things people write in them is often intensely personal--not exactly the kind of things you'd tell someone the first time you met them. Yet these people share it with the world, as if there was no such thing as a secret." "TeachingBlog: could I find a more boring name?" writes Kevin Fields: "This blog is intended to support the courses I teach: announcements for students, filter articles and web sites, reflections on teaching and learning. I've gathered notes into courses and topics; this process will be ongoing."